I have no baking accomplishments lately for I went away this weekend. While I was gone, I got to amuse myself with a trip to Bulk Barn. 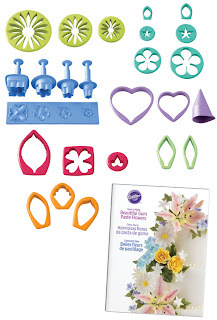 I had a fun time, and bought myself a whole selection of toys to make gum paste and gum paste flowers with. 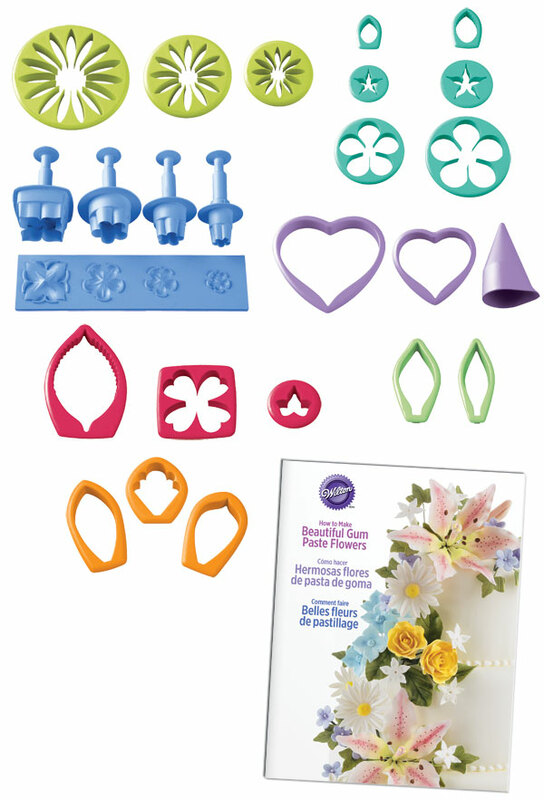 The Gum Paste Flower Cutter set is my favorite new set of tools. I also bought a new stand for the cake that will decorate the party for my parents' 40th Wedding Anniversary. Last night I mixed up a batch of Marshmallow Fondant and it looks just like the regular fondant I buy, except it was made with marshmallows, icing sugar, water and shortening. (Instead of the multitude of unspeakable chemicles in the store-made stuff.) Melt the marshmallows and then knead in icing sugar and shortening and that's it! It took a while, but it turned out nicely. I started the batch of gum paste last night and I finished it tonight. (It needs 8 hours to rest in between). I tried out some of my new flower presses. They are fun. I made a few simple flowers in white and left them to dry. That's it for today!